China is ready to rename the China-Pakistan Economic Corridor (CPEC) to assuage India's concerns about the project, Indian media reported on Monday. 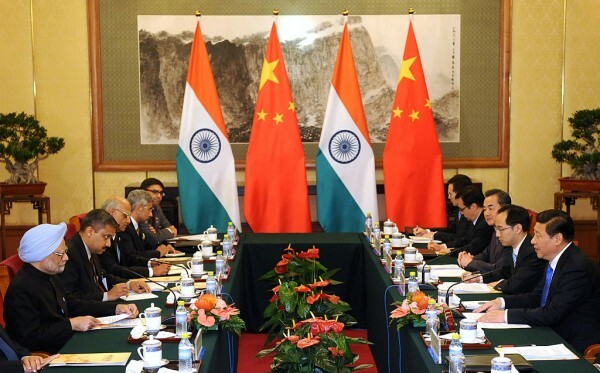 The offer was reportedly made by Chinese Ambassador to India Luo Zhaohui under the pretext of not disturbing India and China's bilateral relations. India has been critical of the CPEC as the project allegedly violated its sovereignty as it runs through Pakistan-occupied Kashmir. "China and India have had successful experience of de-linking sovereignty disputes with bilateral relations before. In history, we have had close cooperation along the ancient Silk Road," Zhaohui said as quoted by Sputnik News. "Why shouldn't... support this kind of cooperation today." Luo also insisted that the CPEC was an economic cooperation and connectivity and that Beijing does not intend to get involved in the sovereignty and territorial disputes between India and Pakistan. He also denied that China has been aiding Pakistan, saying that Beijing's focus is more on gaining its benefits rather than supporting the stance on other countries. Meanwhile, China and Pakistan have both agreed to oversee and ensure the transparency of the CPEC projects, with a joint agreement signed between the National Accountability Bureau (NAB) and Beijing. Qamar Zaman Chaudry, the chairman of NAB, said it has devised standard operating procedures to reorganize workloads and timelines. It also formed a new system of combined investigation team to ensure the quality of work and avoid influences in the proceedings. NAB also teamed up with the Higher Education Commission to educate the youth about corruption and has signed a memorandum of understanding to build over 42,000 Character Building Societies on universities and colleges across the country.